With the progress of society, it has entered the information age of the Internet. The Internet has changed people's daily life and working methods. Under this environment, the Internet is a double-edged sword. The government has encountered in administrative management. New op-portunities are also facing enormous challenges. For example, inappropriate information public opinion will trigger a series of social crises. In this context, this paper mainly analyzes the chal-lenges and opportunities encountered by the administrative management under the Internet en-vironment, and accordingly makes corresponding development strategies, hoping to provide reference for relevant fields in China. 刘武. 互联网环境下行政管理面临的挑战, 机遇和发展策略[J]. 企业改革与管理, 2018(23): 65-80. 康宁津. 浅析互联网环境下行政管理的挑战, 机遇和发展策略[J]. 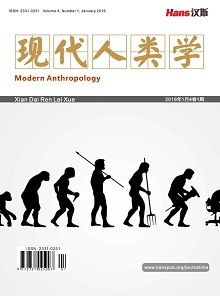 现代营销(创富信息版), 2018(11): 160. 李阳岳. 互联网环境下行政管理面临的挑战与发展机遇研究[J]. 办公室业务, 2018(8): 34.